A digital innovation company based in south Wales has set a target of delivering £20m to the economy before 2030 by helping young tech companies exploit the growing market potential for artificial intelligence (AI). Innovation Point works to connect private, academic and public sector partners in order to help tech sector SMEs secure the investment they need to grow. The company recently marked two years of supporting the development of young companies in the tech sector, and has delivered nearly £3m of new investment into the economy since its inception. David Warrender, CEO of Innovation Point said: “Artificial intelligence is everywhere, and with it has come immense economic potential. Advancements in robotics, language recognition software and automated data analysis tools are just a few examples of how AI is enabling companies to make their processes more efficient and exploit new markets. Much of the innovation behind those advancements is coming from young companies in Wales. Innovation Point will also be working with universities in south Wales to triple the number of cyber and software graduates entering the sector over the next 10 years. One company to benefit from Innovation Point’s support is University Cribs, a digital student property rental platform. University Cribs was a finalist on Innovation Point’s Digital Dozen accelerator programme, where its founders met serial entrepreneur and current chairman David Murray-Hundley. Manchester-based Coursematch, a social network designed to help young people research, compare and discuss their university and career options, secured £275,000 investment following an introduction to the Development Bank of Wales by Innovation Point. Dhiraj Mukherjee, founder of the definitive song identification app, Shazam, was one of seven angel investors also to invest in the company. Innovation Point was critical in persuading Coursematch to open an office in Cardiff ahead of any other UK city. Representatives from Welsh Government, universities in south Wales, and SMEs to benefit from Innovation Point’s support recently joined the company on a boat trip to Flat Holm Island to celebrate two years of success for the company. The event coincided with the 121st anniversary of the first ever wireless radio transmission made across water by Guglielmo Marconi in 1897, between Flat Holm Island and Lavernock Point on the south Wales coast. 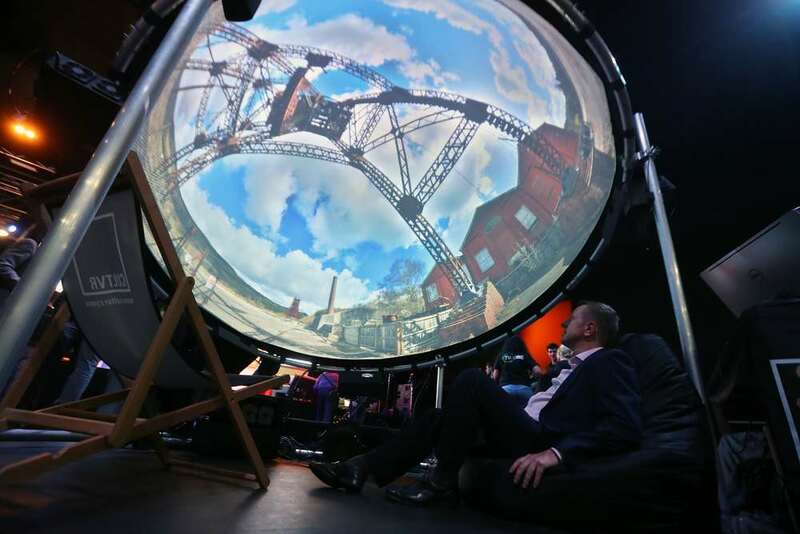 Innovation Point is now looking ahead to Digital Festival at Wales Millennium Centre in Cardiff Bay on May 21 and 22, which it organises in partnership with Welsh Government.